This past week during vacation we made a trip to Pittsburgh to visit with family and to complete some errands. The first errand was to drop off some cakes for two baby showers. 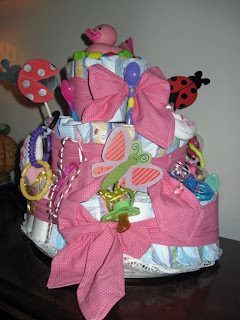 One cake of diapers was made for a new little girl and the other was made for twin boys. 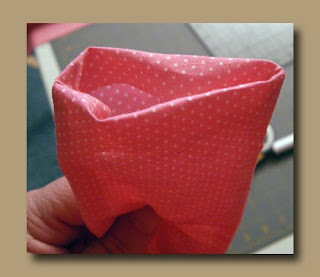 Simply roll up your diapers individually and rubber band them lightly to stay rolled. 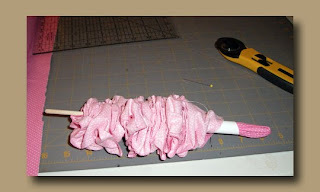 Create three layers of rolled diapers one at a time and then compress the layer with a fabric tie. 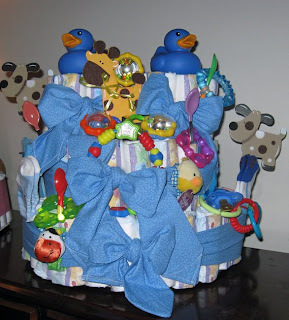 Decorate with all the beautiful things available for babies these days! Two 3.5" strips sewn right sides facing and then turned right sides out. 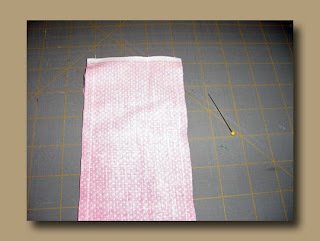 To make it extra simple, I sew one end straight across when inside out. I use this side to turn right side out. 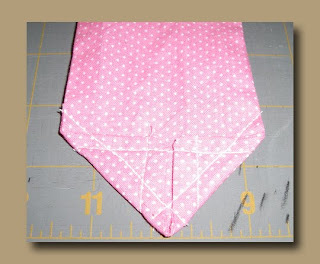 Then I turn the other side in and sew a 1/4 visible seam. 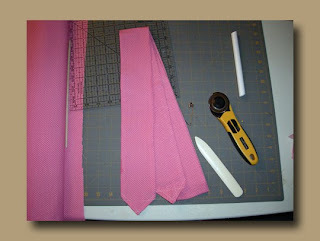 Now, just turn the ends to make a point and sew all directions. Is that ever cute! What a great and original idea! I've never seen that but will be sure to store it in the brain for future reference!